One of the basic premises to writing a strong and effective essay is knowing who your audience is and what they are looking for in your paper. Different audiences are looking for different things in the papers and essays that they read. Business audiences want things that will help their business grow, help them gain more customers, and get more income coming in from their sales. Science geeks want to know what the newest advances and discoveries are that can help them in their line of work. Technology gurus want material that highlights new gadgets, gizmos, and machines that they can be on the lookout for. Legal experts, psychology majors, medical professionals, teachers, and agriculture experts are all looking for material that applies directly to them. So, when you are writing a paper, it is very important to know who your audience is. When you are writing an article, you want to make sure your intended audience reads it, enjoys it, benefits from it, and has good things to say about it. You have to be careful that the terms you use are ones the audience is familiar with. Do not talk over their heads but also do not talk down to them like you know more than they know. Make sure the terms and slang and jargon you use applies to the topic and are words and concepts that are commonly known and understood. 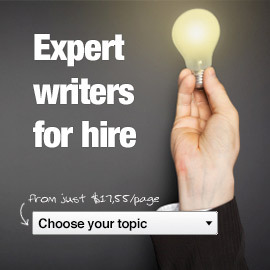 Even when talking to the experts if something might be a little fussy take the time to explain it in your article. If you are given an assignment by an instructor than he or she generally is your intended audience unless otherwise instructed in the directions for that assignment. Chances are your instructor wasn’t you to demonstrate your knowledge of the subject matter and your ability to research and present data and information in a clear and concise manner that is easy to read and that is also enjoyable. When you are given a guide for the paper that outlines what you should focus on and shows you what the instructor is looking for, that paper is worth its weight in gold and you should follow it closely and make sure you include everything that your instructor asks for. Keep these pointers in mind when you work on your article assignment and always remember who your intended audience is. With that foundation you are sure to be off to a good start!